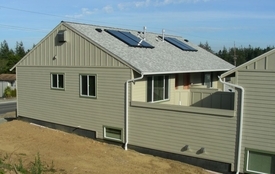 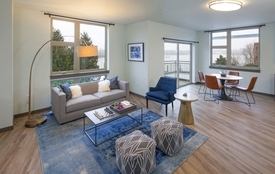 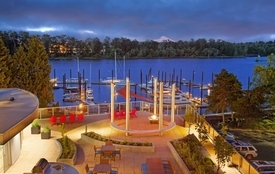 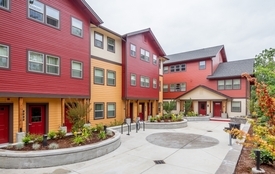 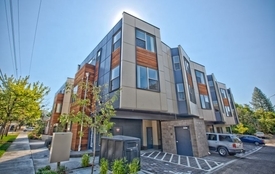 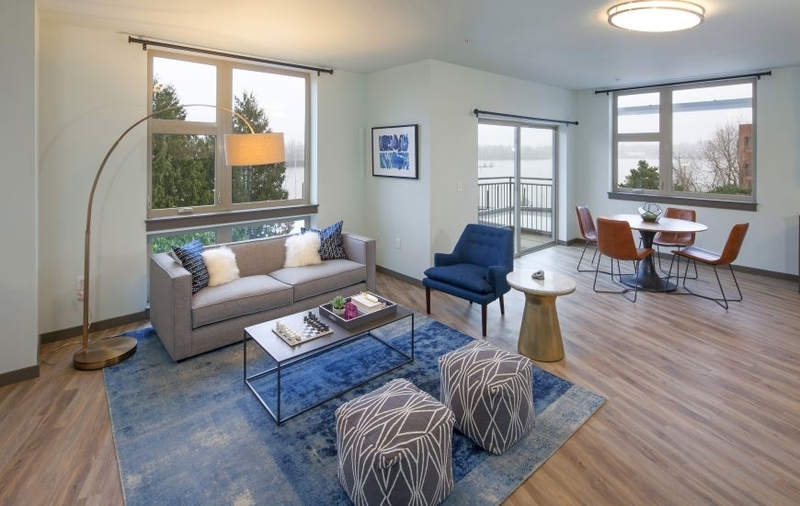 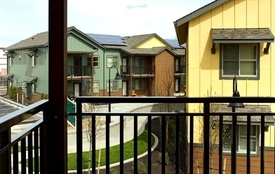 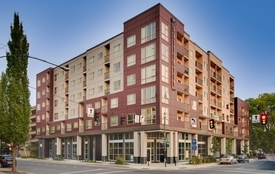 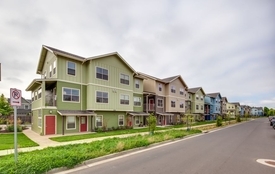 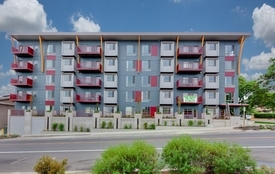 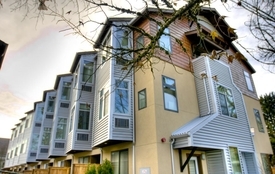 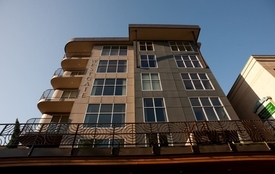 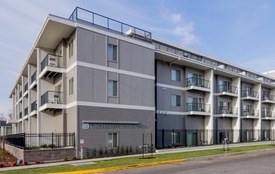 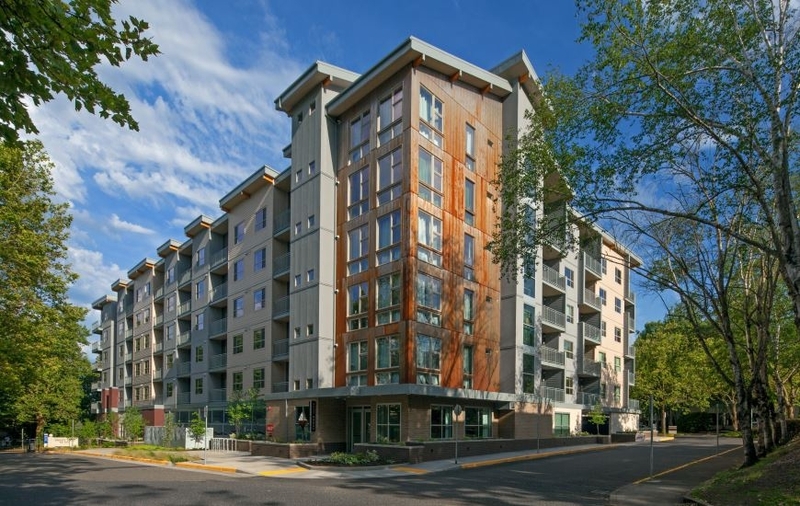 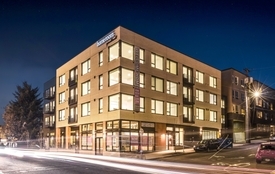 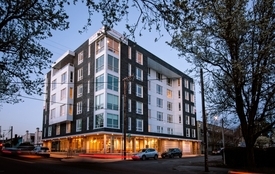 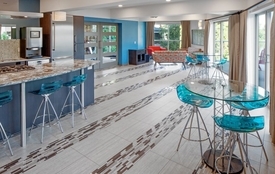 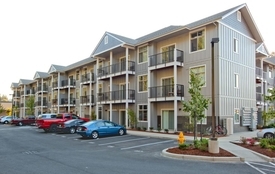 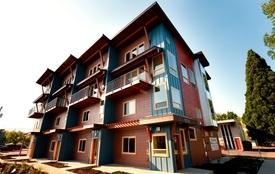 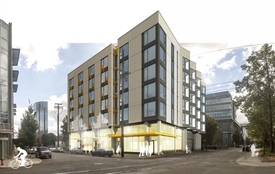 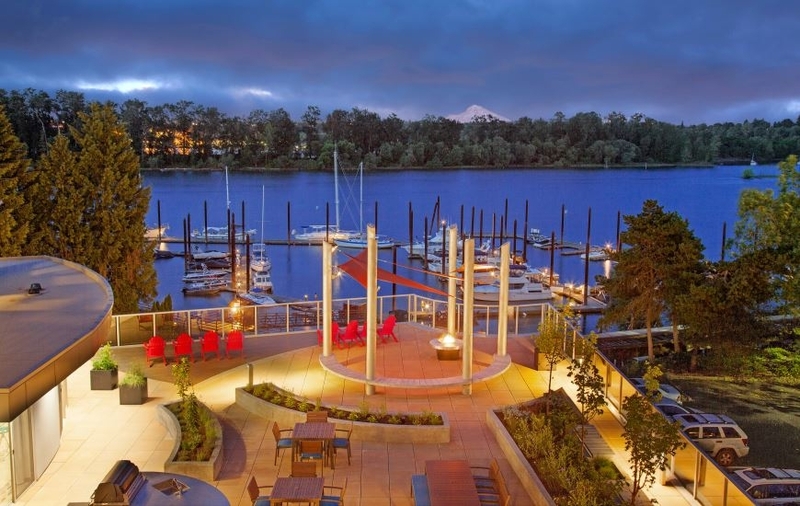 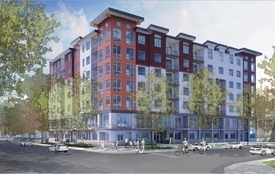 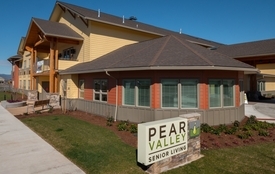 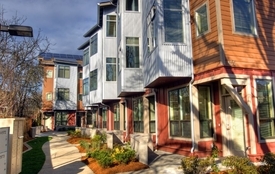 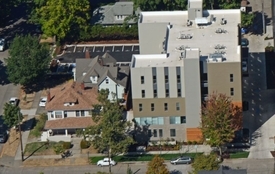 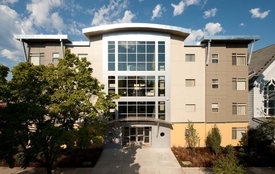 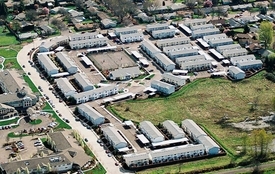 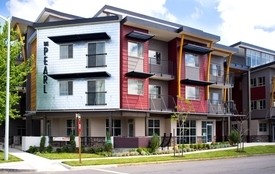 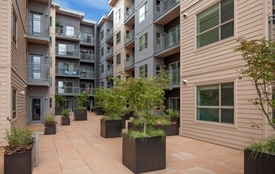 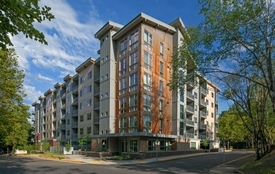 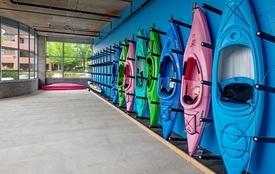 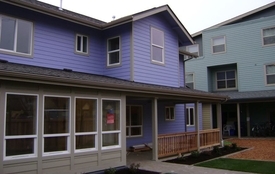 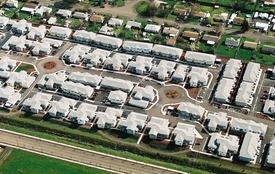 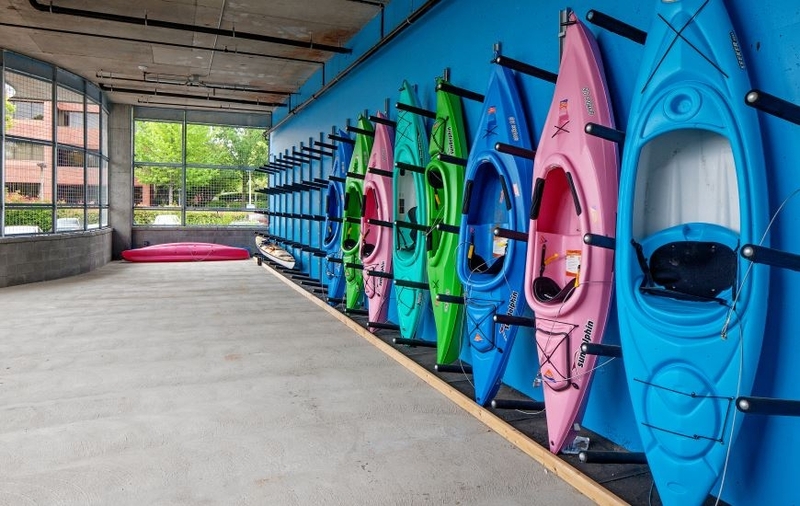 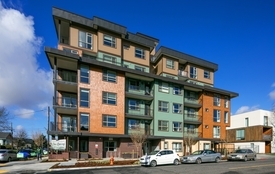 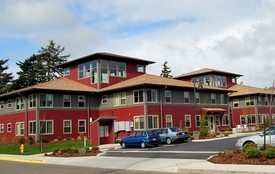 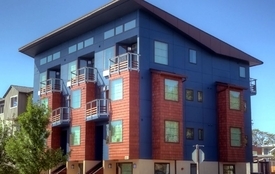 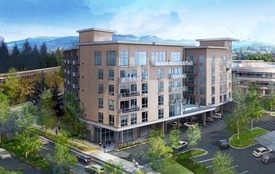 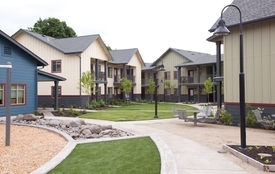 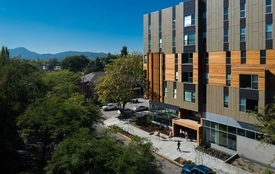 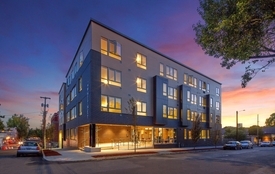 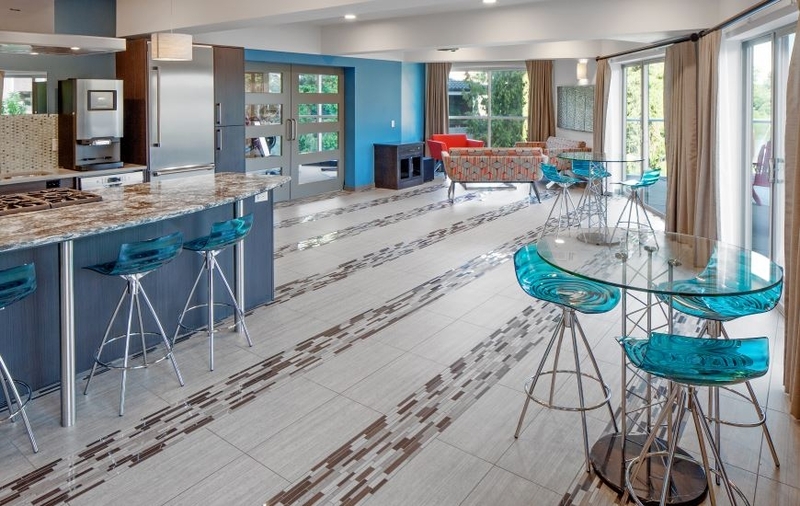 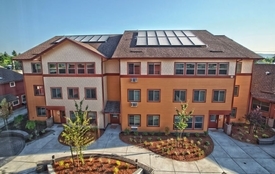 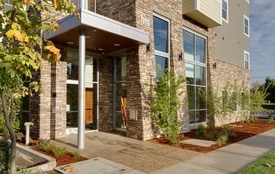 Luxury apartment complex along the Willamette River in Portland’s John’s Landing neighborhood. 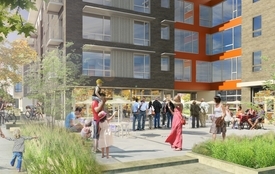 The project includes two buildings: a west building and an eastern tower that houses eight units and an amenity area. 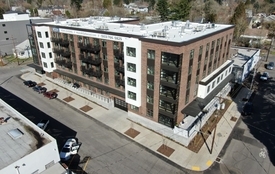 Both are six stories tall with a ground-floor 94-space parking garage and units on the elevated first through fifth floors.